In MIssouri, pork steak is all the rage. Missouri exports at least 25% of the country’s pork supply. A wonderful place to put some down-home, St. Louis barbecue sauce on, people in Missouri like pork steak with just about any meal. An economical alternative to beef steak, your dog can enjoy it too as a treat without the barbecue sauce. 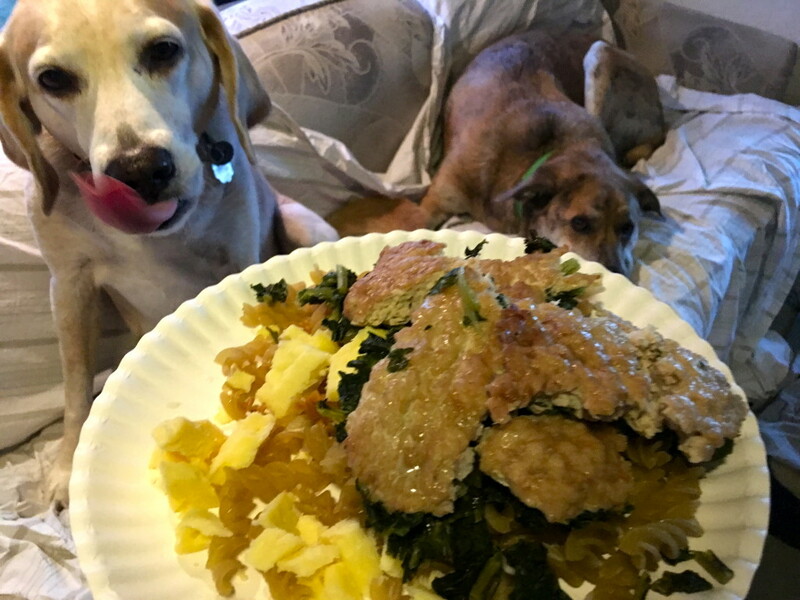 Just make sure when cooking this version of pork steak for your dog, that you cook it all the way through and let cool completely. Cook pasta according to box instructions and let cool. Preheat oven to 350 degrees. Spray a non-stick pan with cooking spray and place frozen kale on bottom of pan. Place pork steaks on top of the kale, cover and bake for 40 minutes or until cooked all the way through. Remove from heat and let cool completely. Serve to your dog with a sprinkling of grated, mozzarella cheese! This is meant as a treat and not a regular, meal replacement. Always consult a vet before making any changes to your dog’s diet.